Twitter is one of the largest social media networking site which also serves the purpose of a news networking site. Being the leading microblogging website, Twitter has enchanted people around the world ever since its inception in the year 2006. From the latest news updates and announcements to viral memes and entertainment, Twitter is the king of all. Over the years, Twitter has grown exponentially in terms of various factors such as membership, usage, and popularity. It is a perfect companion for day to day use and helps keep track of the ever-changing world around us. 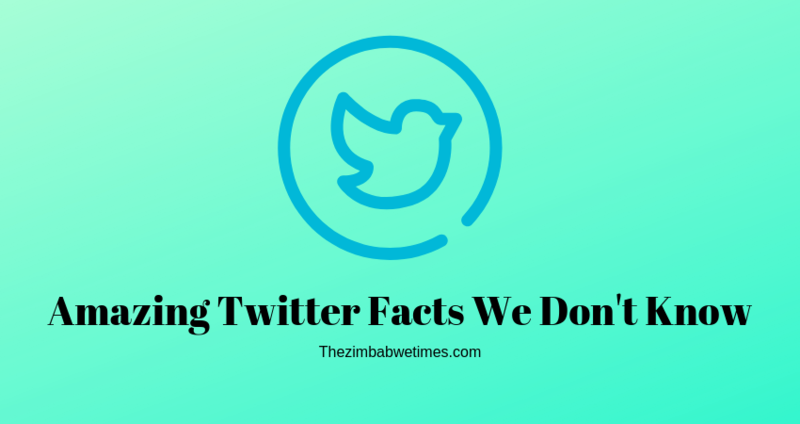 The following 5 amazing Twitter facts will provide a clear insight into to evolution of Twitter into what it has become today, the hot favorite social media website. Initially, Twitter’s founder Evan Williams had named it “Friendstaker.” If it had not been changed than instead of saying tweeting it would have been called friendstalker-ing. Thankfully this is not the case as the initial name was marked as being way too creepy as reported by the New York Times. The social media site could also have been named “Twitch,” “Twitcher,” and “Jitter.” After reading the definition of the word Twitter from the dictionary, the name was finally settled by the co-founder and soon made a new history in the social media world. There is a hidden secret behind Twitter’s unique and iconic bird logo. The word Twitter means the light chirping sound made by certain birds or agitation and excitement. The meaning is not why the logo is a bird. The adorable little blue birdie is named after Larry Bird who is a well-known basketball legend and a famous Boston Celtics forward. There is no denying to this fact as this astonishing fact was confirmed by Peter Stringer, the Vice President of digital media at Celtics. Twitter is not the inventor of hashtags. It is a common belief that hashtags surfaced due to Twitter which is often tagged as the inventor of hashtags. But this is totally not the case. Hashtags are very old and date back to 1988. They were for the first time used by people to communicate through Internet Relay Chats (IRCs). Hashtags appeared on the Twitter way after this in 2007 when Chris Messina, former lead developer of Google and current lead developer of Uber, proposed that hashtags are a good way of combing together variously related and interconnected tweets. This proposal was unanimously accepted and soon became the hottest trend. Katy Perry has the greatest number of Twitter followers. Katy Perry who is also known as the top pop songstress has the most number of followers on Twitter. The number is as big as a whopping 85 million followers. This number is even greater than the whole population of Egypt. Katy Perry is followed by other sensations such as Justin Bieber and Taylor Swift. An amazing thing to note is that the most followed brand on Twitter is not Twitter itself but YouTube. It has 61 million followers thus leaving behind Twitter itself in the race. If you want to be in the same race, best option is to buy twitter followers cheap from a good source. This may increase the chance of conversion to your brand and engagement with your fans. Being “Twitterpated” is actually considered a thing. The meaning of the word “twitterpated” does not simply means being infatuated but has more to it. This actually means that it actually means that the user is overwhelmed with information or is in such a state of excitement that he forgets to tweet or share.